If you’re patiently–or not so patiently–awaiting a Death Stranding release date, Amazon UK just added Death Stranding to the site for pre-order with a release date of March 29, 2019. Release dates from retailers should often be looked at with skepticism, however, and this one is no exception. There are a number of reasons why we’re taking this one with a large grain of salt. The Last of Us Part II was also listed on Amazon UK with the same March 29, 2019 release date. Games often release on Tuesdays, and March 29 is a Friday. In all likelihood, these are simply placeholder dates that automatically fill when Amazon adds unreleased items to their inventory. Usually the placeholder date will be the last date of the year (December 31, 2019), so it’s a bit odd to see March 29. That day is the final business day of Q1 2019 though, which may have something to do with why it is displayed. While we did get to see some gameplay at E3, we still know next to nothing about Death Stranding. If I were a betting man, I wouldn’t put a release date for nine months out from now. If it is a 2019 release, it will be late in the year, if not pushed back to a 2020 launch. Honestly, Amazon probably doesn’t even have any actual release date information about Death Stranding yet. Originally revealed at E3 2016 on Sony’s stage, fans have been waiting a long time to see what’s next from the beloved and bizarre Hideo Kojima. At TGS 2016, Kojima talked about the release window for Death Stranding. “It will be out before the [Tokyo 2020] Olympics,” Kojima said. “To go a little further, there is a movie called Akira, and it will be out before the year in which Akira is set.” For those of you who don’t know, Akira is set in 2019. Kojima may have originally been targeting a 2018 release for Death Stranding, but the scope of this game seems to hold his TGS 2016 statements in check. He could potentially still fulfill his promise of delivering the game before the 2020 Olympic games. No other release date hints have been offered by Kojima or Sony. 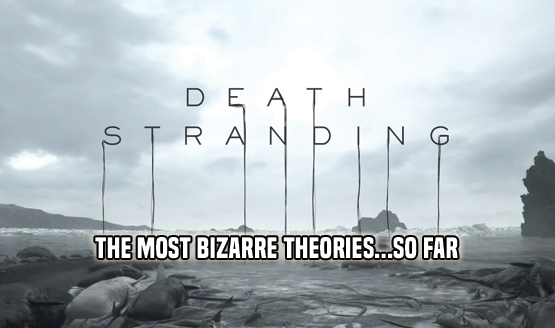 Death Stranding is still a confusing enigma, perhaps getting more and more confusing with every trailer that we see. While it might not actually be coming out in March of next year, every day is one day closer we get to the mysterious Death Stranding release date, whenever it actually ends up being.